what are the surgical treatment options for sleep apnea? 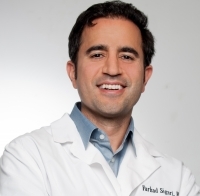 » Watch Next Video by Farhad Sigari, MD, FACS - What are the non-surgical treatment options for sleep apnea? What are the surgical treatment options for sleep apnea? I often reserve the surgical options for sleep apnea for those that have failed the non-surgical therapy, the main one being Uvulopalatopharyngoplasty or better known as UPPP. This involves removing and or reshaping part of the soft-pallet which enables an improved airway. And for the most severe cases there are surgical procedures that can allow us to reshape or re-position the tongue or even reshape the upper airway.